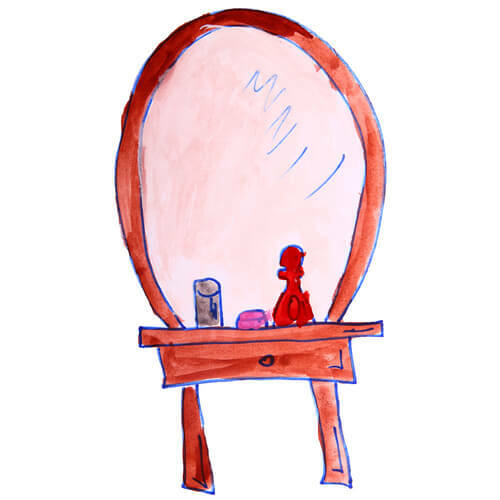 There’s something special about taking the time to sit down and apply make-up to the face we most take for granted: our own. Most of us end up rushing the routine, and end up curling our eyelashes while merging into traffic (stop doing this) or, at best, allow ourselves one hasty minute as we head out the door. Keeping an appealing make-up table can not only make the process of applying make-up more enjoyable, it can also save you time and money. How often have we felt like buying a new lipstick or eyeliner, when we already have twenty at home? Keeping our current purchases clean and organized helps us recognize the value of what we already own. Throw away old make-up that you haven’t used in a long time. Make room for the key elements that you enjoy using, and display them attractively. Clean the brushes, sharpen the pencils, wipe down the lipsticks. 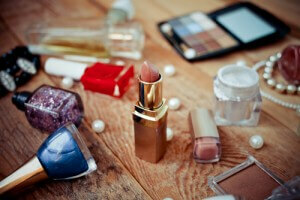 Consider rotating lipsticks and eye shadows to keep that “new feeling” that is so inspirational. Yes, hope in a jar is still a thing. Look around the house for attractive displays: special mugs, silver trays or formal china that sits unused, or a favorite pretty box can all do double-duty as make-up organizers. You really don’t need to buy anything to do this. In the mood to learn more? Check out these inspirational images from PopSugar for ideas on making your vanity the cool place to be. For more tips on organizing your beauty products, our friends at Real Simple have a list of their own. 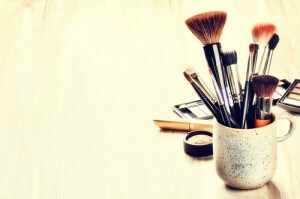 Finally, if you’re looking for new ways to freshen your look, we can suggest Fashionista’s list of The 10 Best Make-up Tutorials, which will take you from acne to eyebrows to the smoky eye, red red lips, and more.